The Asia-Pacific Development Center on Disability (APCD) met with point persons from the Ministry of Labour - Invalids and Social Affairs of Vietnam, as well as local stakeholders on 8 to 10 May 2017 to identify and confirm the target community for the ASEAN Hometown Improvement Project in Danang, Vietnam. The APCD's mission plan is to use bamboo waste products of chips and powder into bamboo fertilizer. This project aims to develop eco-business concepts and ideas in local communities. 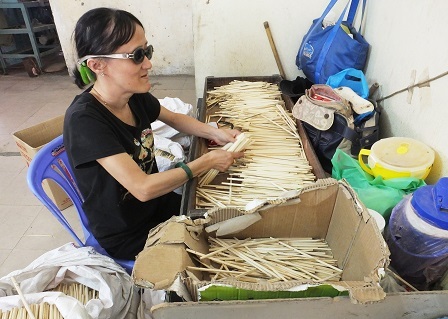 Specifically, the APCD visited a local chopsticks company, Bamboo Bana Ltd., to interview stakeholders and employees with disabilities, and conducted a baseline survey, with the goal of future closer collaboration. 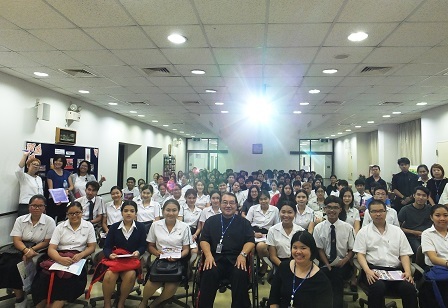 Over 100 student volunteers attended APCD's 'Volunteers Orientation for the Disabillity-Inclusive Drum Performance in ASEAN and Japan' scheduled for 2 to 3 June 2017 in Bangkok, Thailand. The volunteers, coming from various universities, were given Disability Equality Training and were briefed about their roles in the two-day event. The historic drum performance is being held in commemoration of the 50th Anniversary of the Association of Southeast Asian Nations (ASEAN) and the 130th Anniversary of Thailand-Japan Diplomatic Relations in 2017. Over 120 drum performers with diverse disabilities from 10 ASEAN countries and Japan took part in the said event attended by more than 1,500 people. The first-of-its-kind musical extravaganza is organized by APCD and The Nippon Foundation. Partners include the Government of Thailand (through the Ministry of Social Development and Human Security and the Ministry of Foreign Affairs), Government of Japan (through the Ministry of Foreign Affairs), ASEAN Secretariat, Thai Yamazaki and other supporters. 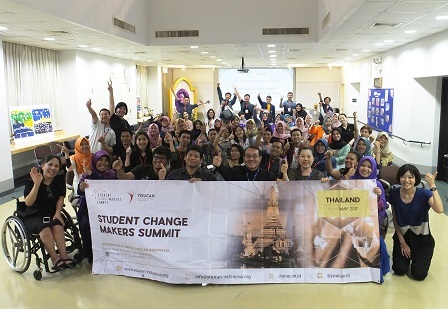 More than 40 visitors from the Youth Center to Act for Nation, an organization that focuses on developing the capacity of Indonesian youth, visited the APCD on 11 May 2017 as part of its activities for the Student Changemakers Summit 2017. To learn more about disability, the visitors took part in Disability Inclusive Sports exercises and were toured around APCD's fully accessible facilities. They also visited and interacted with the staff of 60 Plus+ Bakery & Cafe, a human resource center for persons with diverse disabilities.